Looking for reliable LED Display manufacturer? MEGA LED Technology has been manufacturing reliable LED displays in the US for 12 years, we deal with many small to large sized sign shops across the Country and will never leave you in the dark. We will beat any price so long as the product is comparable. Give us a call today and ask about additional incentives for signing on as a MEGA LED dealer. We make LED signs that are perfectly crafted to get your business the attention it deserves. Whether you're looking for something small/simple or more robust, we've got the right LED display for you. Whether you're a university, gas station, government, retail shop, or anything in-between, we have the perfect LED solution for your organization's needs. All of our products are crafted with precision, intelligently designed and engineered for top performance in our 69,000 square foot facility in Commerce, CA. You’ll never have to worry about inferior products with us. And If you need help? We’re here for you. We stand behind everything we build. That's why we offer an industry leading 5 year parts and on-site labor warranty. Plus, we're fast. If you're in the continental US (lower 48 States) you can expect parts within 72 hours of calling for help. You'd think that with such a great product our prices would be astronomical... but nothing could be further from the truth. In fact, we offer a price match guarantee. If you're quoted a lower price from any of the competition, simply send us the quote and we'll match it. Win/win. **Restrictions apply. Please contact our sales rep for details. 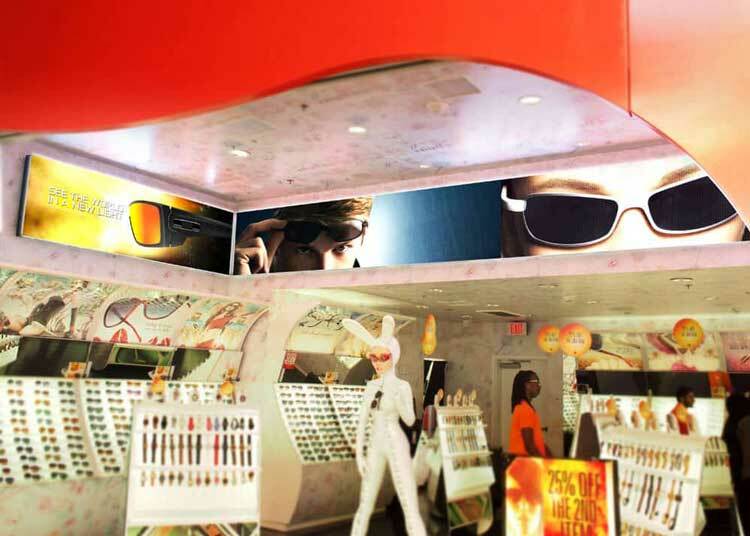 We've been innovating the LED sign industry for awhile now and it hasn't gone unnoticed. Major brands from all over the country are now choosing MEGA for their LED sign needs. Who wouldn't choose superior quality products at reasonable prices? Need help with content and designs for you new LED sign? Don't worry, we got you covered. We offer free custom content and design services for 1 full year after purchase. That's right, we'll design the perfect ad for your organization's goals. You'll be getting results in no time. MEGA LED displays are manufactured well beyond industry standards. With all aluminum cabinets, continuous steel mounts, LINE-X coating, solid state control systems, and water proof plugs, your sign is going to look and perform just like the day you bought it for years to come. There’s more compelling evidence for owning an LED sign for your business than “they look cool.” (Even though that’s true.) LED displays have quietly become a major marketing game-changer, but until recently people didn’t have any real data on why they’re so effective. Which LED Sign Is THE Best For My Organization? How do I know I have a quality LED sign, and how long is this thing going to last? How much is a good LED sign going to cost me? Let’s dive right in with answers to 7 of the most common questions people have about LED displays. Surprised to find out there’s not just one kind of LED sign? No worries, it’s easy as pie to choose the right one for your needs. Let me ask you a few questions… Are you trying to grab people off the street, or sending a message to folks already inside your business?